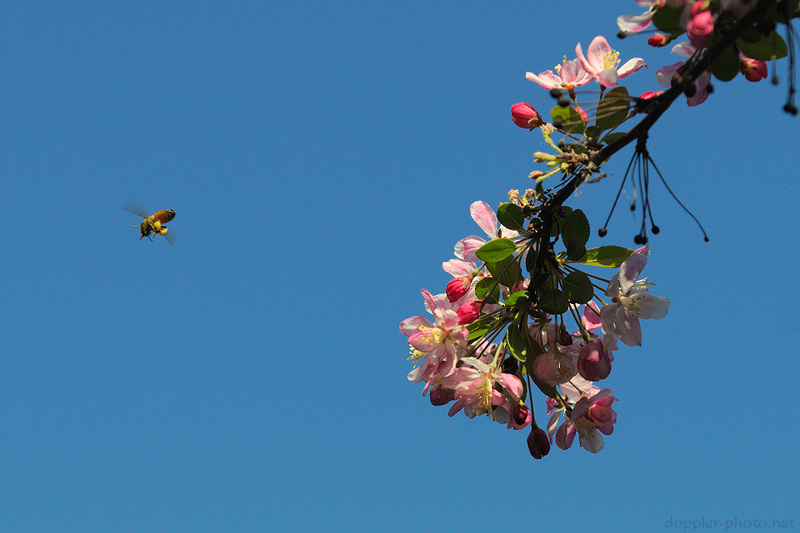 It's spring in the Bay Area, and that means insects flocking to the flowering bushes and trees in our midst. We've got crab apple trees at work, and they practically buzz with activity once the springtime sun begins to shine every year. Correction: I originally misidentified the trees as cherry blossom trees.